100% Bamboo Construction. 9.5-Inch x 39-Inch Drop-thru shape Yellow 70mm 81a Bigfoot Stalker Wheels with a 50mm contact patch. Black 181mm Downhill Trucks with ABEC 7 Bearings. 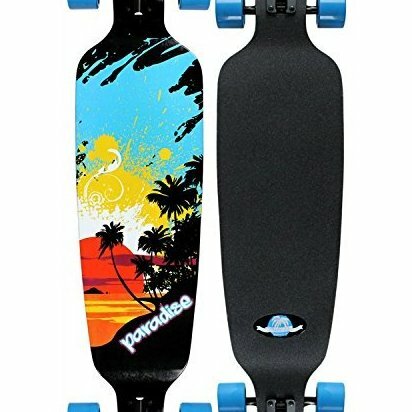 Die-cut grip tape with Paradise Logo Sticker.